This is a Dutch name; the family name is Van der Velde, not Velde. 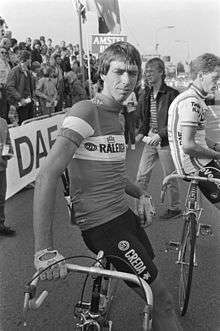 Johan van der Velde (born 12 December 1956 in Rijsbergen, North Brabant) is a former Dutch cyclist. 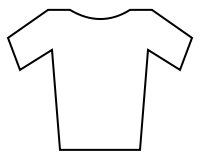 In the 1980 Tour de France he won the Maillot blanc, or white jersey, for being the best young rider under 25, also placing 12th overall that year. He had been a racing cyclist for only a year. In the 1981 Tour de France he took first place on the second and 21st stages, finishing 12th overall for the second year. He rode with TI-Raleigh in the Tour de France from 1979 to 1983, and Panasonic in 1986. He was distinctive in the peloton for his lean, long-legged appearance, his smooth pedalling style and his long hair. He rode in support of riders such as Joop Zoetemelk, whom he could pace over mountains at impressive speed, but he was also capable of winning on his own. Success came to him early and, he said in an interview with the author Jan Siebelink ("Pijn is genot") that he had trouble coping when that success began to dry up. Van der Velde said he remembered shivering at the start of an Italian race, the skin of his arms wrinkled in goosebumps, because of the amphetamine he had taken just to start. Van der Velde is now often seen at junior races, where he accompanies his son, also a racer. He took part in a celebrity edition of the Big Brother television series in 2000 and has worked in public relations for the Quickstep team, driving its guests at races. It was announced that van der Velde would join the new Roompot Orange Cycling Team as a driver for 2015. His manager at Ti-Raleigh, Peter Post, said he had always considered Van der Velde the son that he had never had. ↑ "News shorts: Santambrogio to return with Amore & Vita". cyclingnews.com. 30 October 2014. Retrieved 30 October 2014.